Keeping your personal files protected all the time is extremely important. Setting up passwords for certain files, folders or zip packages is recommended especially if there are other persons who have access to your Windows 10 device. Also, if you share files between different computers, or use a network that’s not properly secured, the best is to set individual passwords for your most important files. That’s why we want to show you the best security solutions that can be used for protecting a zip file in Windows 10. For regular files and folders, you can use built-in Windows 10 features and set individual encrypted passwords. You can also use password manager tools to make it easier for you to keep track of all your passwords. Unfortunately, when discussing zip files it’s more complicated to find the right security alternatives – no, you cannot set passwords for protecting zip files in Windows 10 by default. Thus, third-party solutions must be applied instead. And since there are different tools available on the web, it’s indicated to choose wisely. That’s why we are here to review two free-distributed apps that can help you secure your zip files. WinRAR is maybe the most popular tool used on the Windows 10 system. Of course, WinRAR can help you easily compress files and folders into one compressed file. Additionally, and few know this aspect, WinRAR can also be used for setting up a password for the compressed file. Of course, start by downloading the WinRAR client – you can get the software from this page. Follow on-screen prompts and install this program – just click on the executable winrar file. Next, choose the file which you want to compress and secure. Right-click on this file and from the list that will be displayed choose ‘Add to archive…’. From the window that will be displayed, under General tab, enter a name for the future zip file, choose the Archive format (click on ZIP) and before selecting OK for confirming your changes, click on ‘Set password…’ . When prompted, enter your passwords and re-enter it for confirmation. Apply the changes and that’s it. Open WinRAR and click on Tools. Then, select Convert archives from the Tools options. From Convert archives, under Archive types keep the zip option checked. 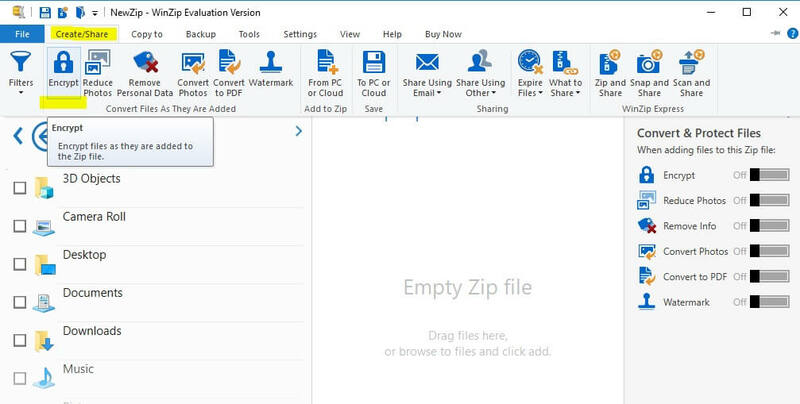 Choose the location where you want to place the protected zip and then click on the ‘Compression…’ button. The Set default compression options window will be displayed. Under General tab click on ‘Set password…’ and enter your password. Complete the validation process and save your work. WinZip is a tool that has been downloaded over 1 billion times, which means that it has great features in it. And it has, indeed. Here is a quick guide on how to password protect a file that you want to zip using WinZip. After setting your password, you also will need to set the encryption setting and you’re done! Now you have a military-grade encrypted, password protected ZIP file. Unlike WinRAR, through 7-Zip you won’t be able to set a password for an existing compressed zip file. This software will let you set up one password only during the zip process. So, for already compressed packages, you will have to unzip first and re-zip afterwards. Anyway, 7-Zip is also free and offers an intuitive interface, just as we noticed with the WinRAR client. As you will notice, both platforms are quite similar so just choose the one that you prefer the most, or try them both and decide afterwards which solution is best for what you wish to accomplish. One more, first of all download the program on your Windows 10 system – you can get it from here. 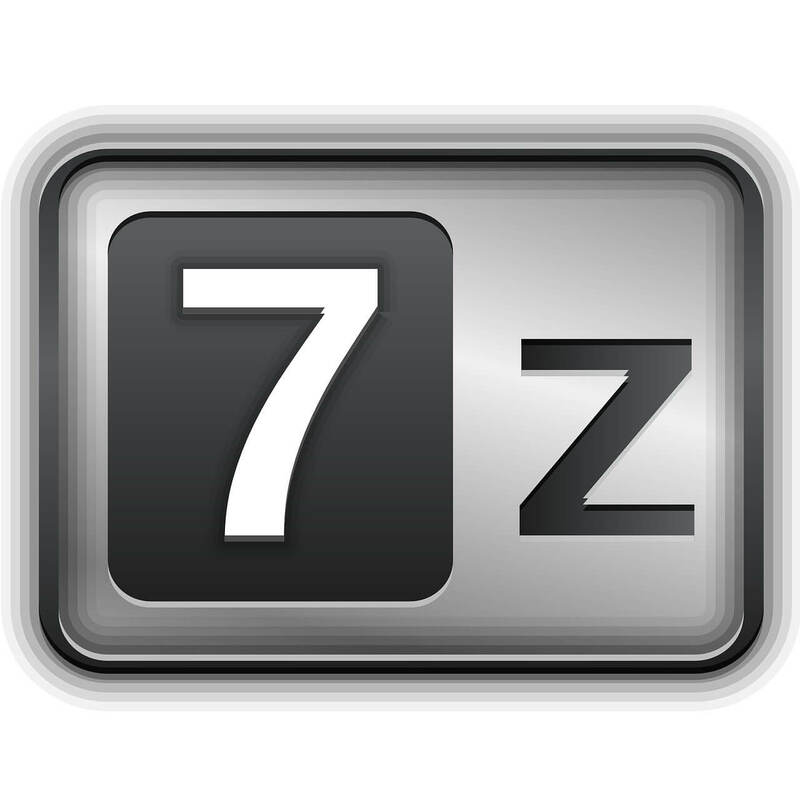 Install 7-Zip on your device – run the executable file and then follow on-screen prompts. Choose the file you want to compress and right-click on it. Pick ‘Add to archive…’ . 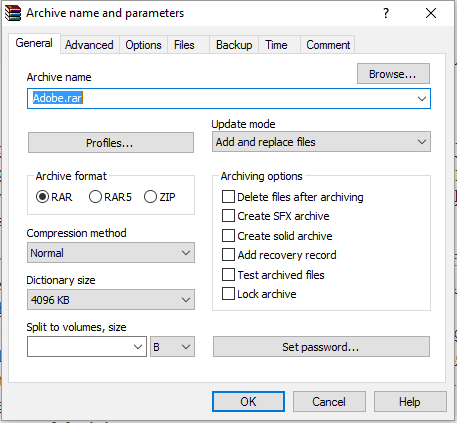 Under the Add to Archive window you need to: enter a name for the file, set an archive format and enter an encryption solution. So, set the password for protecting the future zip file. When done, click on OK. These are the easiest ways in which you can protect a zip file by setting up a dedicated password. Keep in mind that Windows 10 doesn’t offer a built-in solution for completing this encryption. However, by using the tools listed above you can easily protect any zip file you want. Both WinRAR and 7-Zip are open-source platforms, so you can download and use them for free. Now, if you can’t manage to set a password for your ZIP file in Windows 10, we are here to assist you. Use the comment section below to tell us more about your issue, and we will find the perfect explanations in order to make everything crystal clear. Editor’s Note: This post was originally published in October 2017 and has been since revamped and updated for freshness, accuracy, and comprehensiveness. We want to be sure that our list has the best products that will fit your needs.